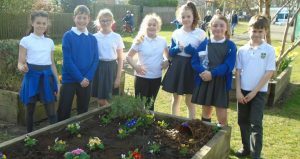 A group of our wonderful Year 5 children were keen to improve the look of our raised beds near the school exit leading to Burnthouse Lane. 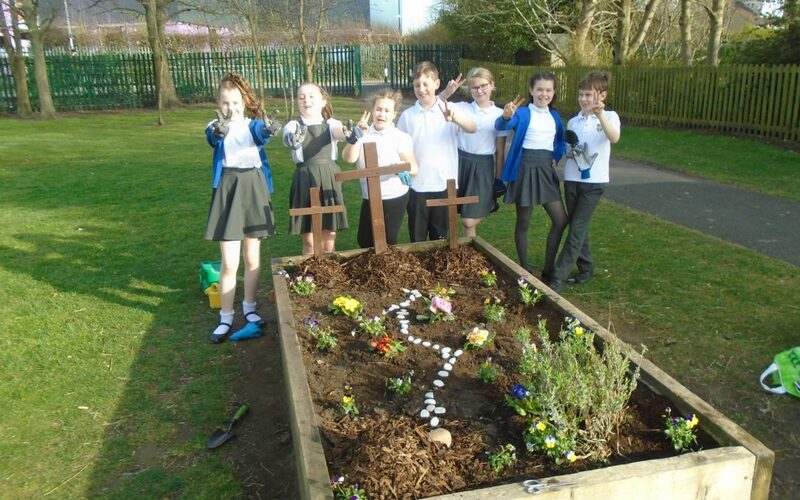 As Easter is near, we decided to turn one of these beds into an Easter themed garden, complete with our interpretation of Calvary and Jesus’ tomb. 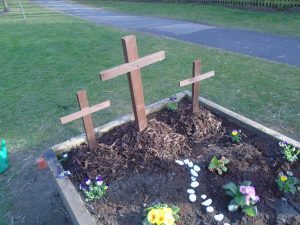 The children are very proud of their hard work and were pleased to receive the praise and recognition from members of the school community who saw them at work on Wednesday and Thursday afternoon after school this week. 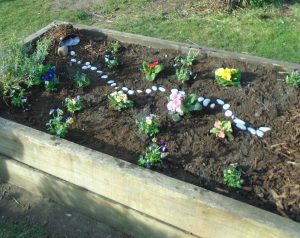 My thanks to our green-fingered friends who helped me with this project. Good job, well done! 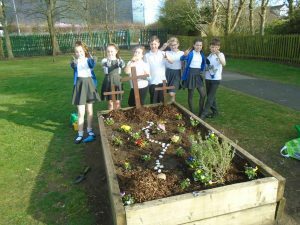 Well done everyone for your hard work on the flower bed. I don’t normally come into school via the back gate. However after picking a parcel up at the Post Office I did come in that way this week. I was very impressed with your display. Well done.